View cart “Things Past and Things to Come by Paul Bray” has been added to your cart. the surface can never reveal. known only in relation to the other. 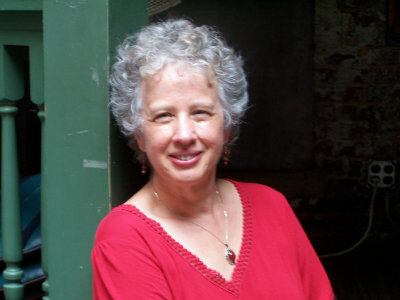 Pauletta Hansel’s poetry has been featured recently in journals including Wind, ABZ Journal, Southern Women’s Review, Still: The Journal, The Mom Egg, Penwood Review and Appalachian Journal, and anthologized in Motif: Come What May and Boomtown: the Queens MFA Tenth Anniversary Celebratory Anthology. Collections include Divining, (WovenWord Press, 2001) First Person (Dos Madres Press, 2007) and The Lives We Live in Houses (Forthcoming, Wind Publications, Fall 2011). She is a current editor of Pine Mountain Sand and Gravel, the literary publication of Southern Appalachian Writers Cooperative. Pauletta received her MFA from Queens University of Charlotte. She lives in Cincinnati with her husband, Owen Cramer. We would like to thank the “Alice Pezorski Fund” of Clearfield, Pennsylvania for its generous support which has made this book possible.